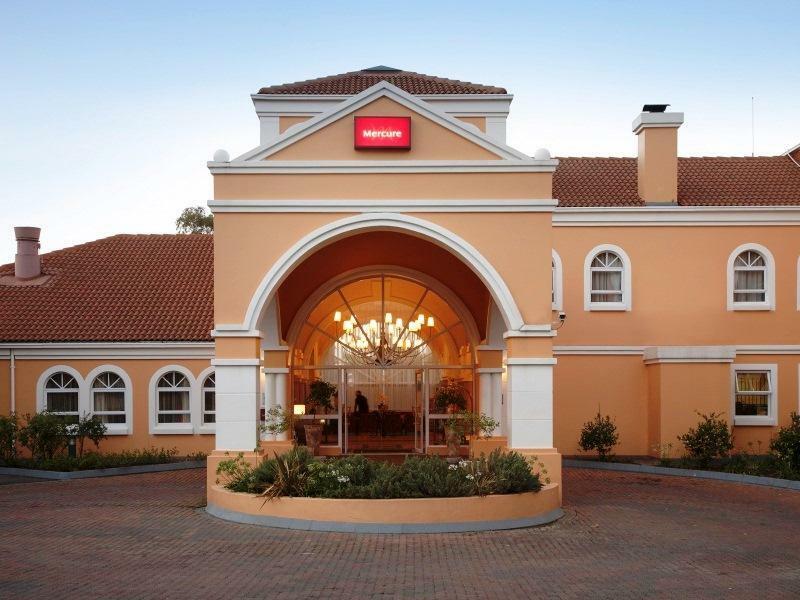 ﻿ Mercure Johannesburg Randburg Johannesburg. JIMAT di Agoda.com! Ada soalan mengenai Mercure Johannesburg Randburg? 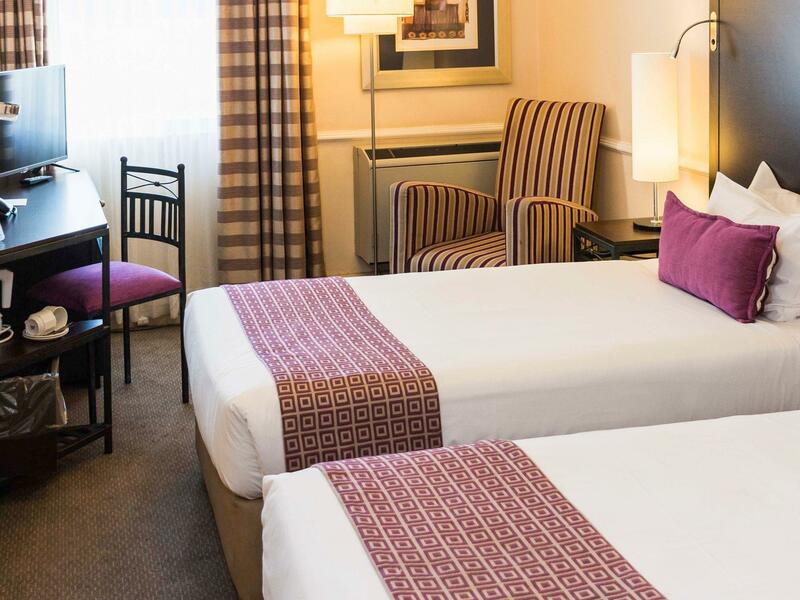 Terletak pada kedudukan yang baik di Randburg, Mercure Johannesburg Randburg adalah tempat yang sesuai untuk memulakan lawatan anda di Johannesburg. Dari sini, tetamu boleh menikmati akses mudah kepada semua yang bandar meriah ini boleh tawarkan. Dengan tarikan utama di bandar ini seperti Tepi Laut Randburg, Gim Virgin Active Cresta, Cresta Shopping Centre berada pada jarak yang dekat, pengunjung hotel pasti akan menyukai lokasinya. Di Mercure Johannesburg Randburg, perkhidmatan yang cemerlang dan kemudahan yang unggul menjadikan penginapan anda tidak dapat dilupakan. Kemudahan utama hotel termasuklah meja depan 24 jam, fasiliti tetamu kurang upaya, simpanan bagasi, tempat letak kereta, pengangkutan lapangan terbang. Alami bilik dengan kemudahan berkualiti tinggi sepanjang anda menginap di sini. Sebahagian bilik menyediakan televisyen skrin rata, internet wayarles, internet wayarles (percuma), bilik larangan merokok, penyaman udara untuk memudahkan tetamu berehat dan kembali bertenaga. Hotel ini menawarkan banyak peluang rekreasi yang unik seperti taman. Apabila anda mencari penginapan yang selesa dan mudah di Johannesburg, ijadikan Mercure Johannesburg Randburg sebagai rumah anda seperti berada di rumah sebenar. Good location, neat open parking, finishes in general are aged and could do with a revamp. The room although non-smoking still smelt of smoke, the bathroom was neat, toilet was sanitized and sealed, towels had some strands of hair on them. The air-conditioning works but are the older floor mounted cassette units, during our stay the temperatures were in excess of 30 degrees Celsius so they did take a long while to eventually cool down the room sufficiently. Overall I would rate this hotel 3/5, I may or may not return to this hotel depending on the type of visit. Upon our check out my husband was made to feel like he was a corn man,just because he was taking our staff to the car while I was in our room,he was asked 21 questions,the manner which he came at my husband was that of him sneaking out.I had already booked and paid for 2 rooms we had no intentions of just leaving without checking out .Furthermore when I had initially booked my one booking i did it online and when I checked in I was not told that there was an additional tourism levy i had to pay,I did not like this mans attitude when he told me I had to pay this with no explanation or appologies for any inconviniences about the fact that this had not been communicated to me.I had to ask him to give me my receipt or else ge wouldint had given me and furthermore he claimed to have given me my change when in fact he hadnt.I just told him to keep it .I dont now his name but it was a black man and we checked out at 6am on the 26th of October.He needs a hospitality training course. I've stayed here several times and it's an excellent choice. Rooms are well equipped and while the room is on the smallish side and a little dark it's really good value for money. Right next to a shopping Centre so lots of food options and easy connection to the N1 highway. Situated in a good area, literally at a shopping mall. We had a good, confortable stay. Stayed for two nights. Good location with closer to shopping mall with variety of shopping and restaurants options within walking distance. Room are clean and spacious. Facilities and amenities are great for the price i paid. Staff was freindly, location was ideal and central to our initeiary. Breakfast prices should be more competitive to avoid clients going to Brighwater for breakfast. It's at the entrance to the Brightwater shopping centre. Very safe. i've stayed here 2ce before and would definitely stay again. see my previous reviews to get the idea of why it's worthwhile coming here. it's a safety thing in the 'new' south africa and this hotels location gives you peace of mind. i'll be back. This hotel is at the entrance to the Brightwater shopping centre car park. The most important thing about staying in todays South Africa is safety and security. This hotel is in a safety zone and it's withing a very short stroll to the shops or the restaurants and bars. The hotel itself is very clean and the staff are pleasant and helpful. It's a pleasure everytime I visit Johannesburg to stay at this hotel. The hotel offers value for money and it is in a class of its own as compared to other hotels in the same league. 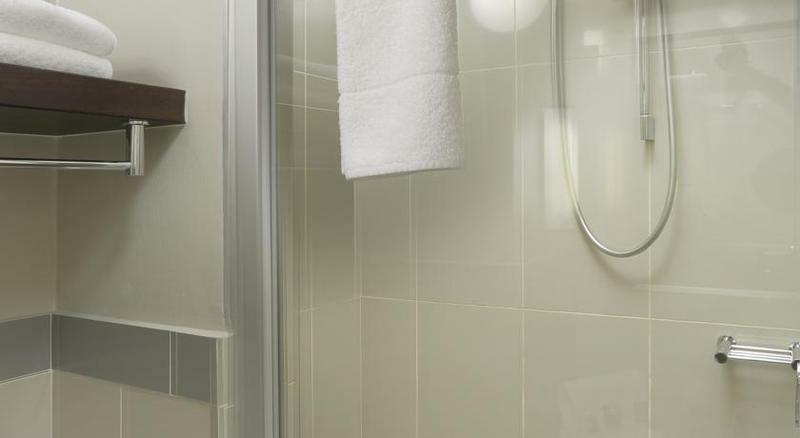 The room was clean and it is pleasing to note that health risks are being taken care of particularly in the bathrooms. very close to shopping centres. good service all round, easy checkin, staff were quite helpful. will definitly go back. I had an extremely enjoyable stay. Very comfortable rooms. Room was cleaned perfectly every day. Staff were very helpful. 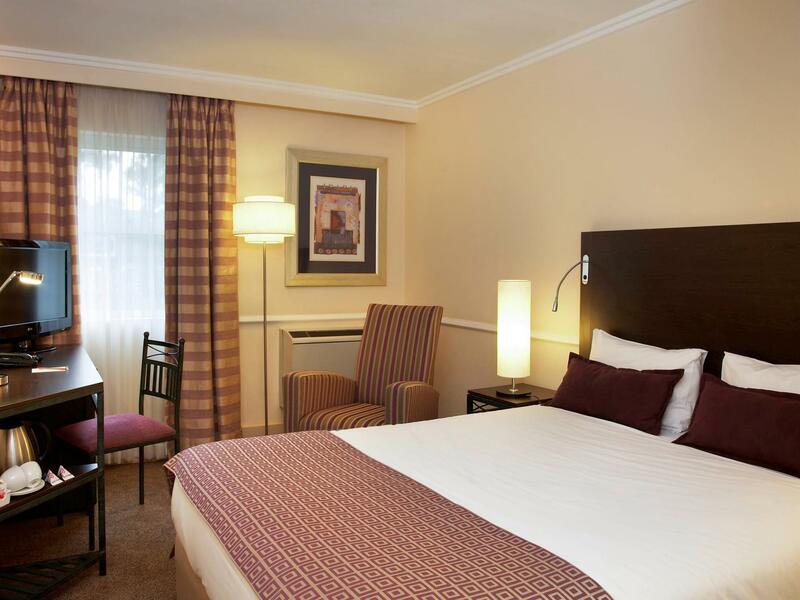 The hotel is within a very short walk to the Brightwater shopping centre which is a hive of activity. Would recommend for overnight stay. Definitely not a place for leisure or relaxation. No assistance with luggage even though concierge trolley was available. Not offered any extra services, eg, meals Room was comfortable but found cockroaches at the tea station. Would not recommend for standard price. Perfect for business travel, nearby shopping mall, restaurants and cafe. Also liked the cleanliness and comfort of rooms plus friendly staff. Affordable. Location - near to shops, easy access to Sandton, Coca Cola Dome and Fourways. We visit Johannesburg regularly for business meetings that run late into the night. We always look good accommodation, refrigerator in room, close proximity to shops and easy access to meeting venues. This hotel is more on the expensive side at standard rates, but very well priced at Agoda. Good service friendly staff stunning rooms. well worth a try.